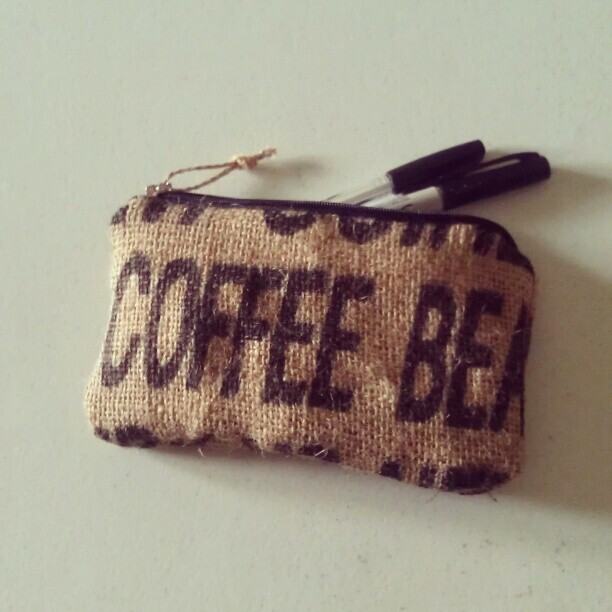 You know about my love affair with burlap – making something out of used Hessian coffee bags. 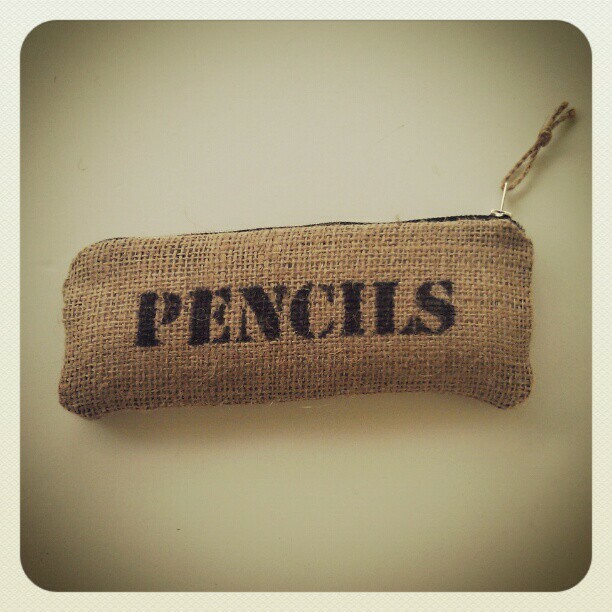 Well, for quite a while I have been thinking of making zippered burlap cases for pencils or other small items. 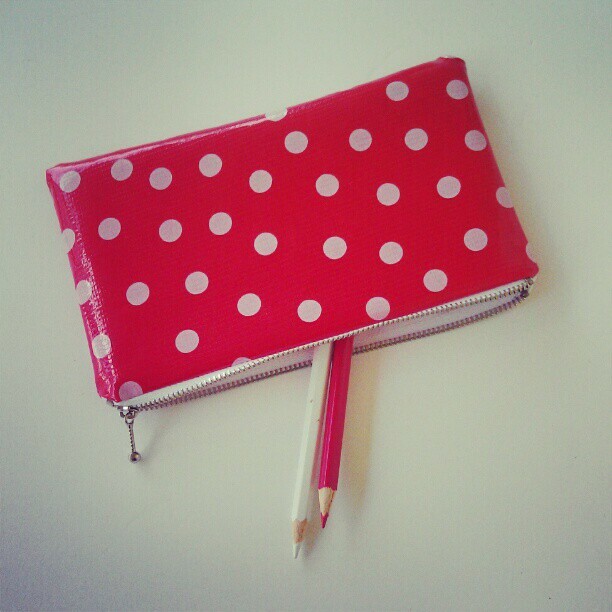 The problem was that I have an irrational fear of zippers – sewing zippers, that is! I finally decided to tackle this fear and lo and behold! The case below was the very first one I made. It’s not perfect but I really like it, and it now lives in my bag, holding all those small items you carry around… The one above is now for sale in my Etsy shop! Of course I could stencil any word (to a maximum of 10 letters) onto a case like this, so I am also offering a Personalized Burlap Pencil Case. 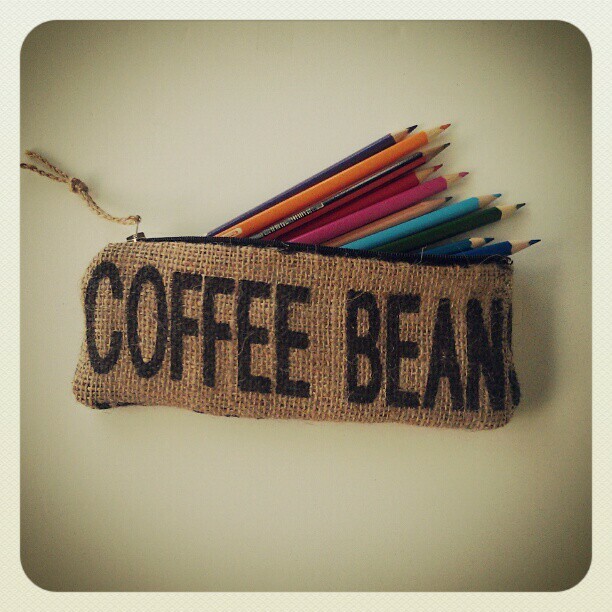 This entry was posted in Upcycling and tagged burlap, pencil case on February 9, 2013 by bluejacarandadesign.